Sometimes you need an old wrinkly lady in a gaudy tent to gaze into a crystal ball to confirm your future. If you need this in your life then spare no haste and make your way to the store to purchase Mystic Mabel. 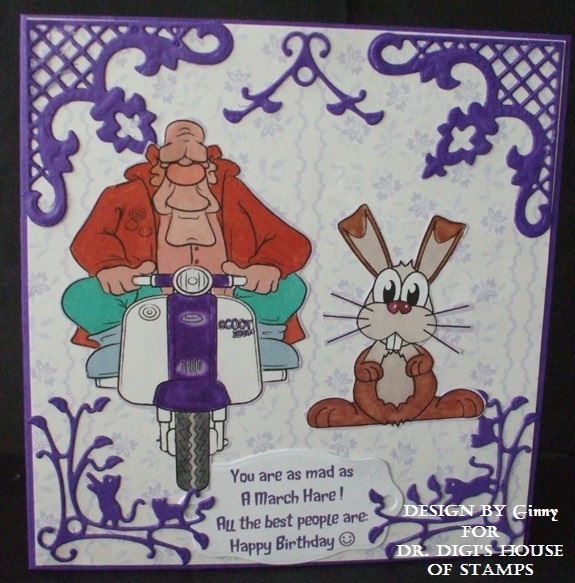 My cousin used to belong to The March Hares Scooter club Brighton. 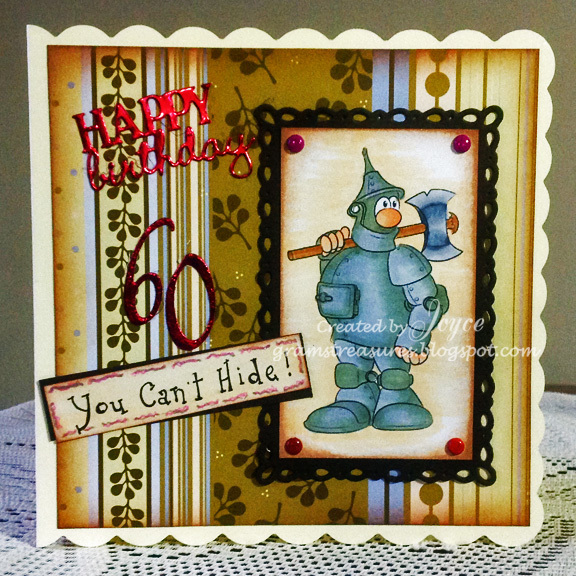 I thought this birthday card might bring al little nostalgia of the swinging sixty. I have been resisting all the talk of Christmas in the crafty world but... I've finally succumbed! I can only apologise! But it is only 152 days away - yep I'm Sorry again! So here is Father Christmas from Dr Digi and the image is called Naughty or Nice. 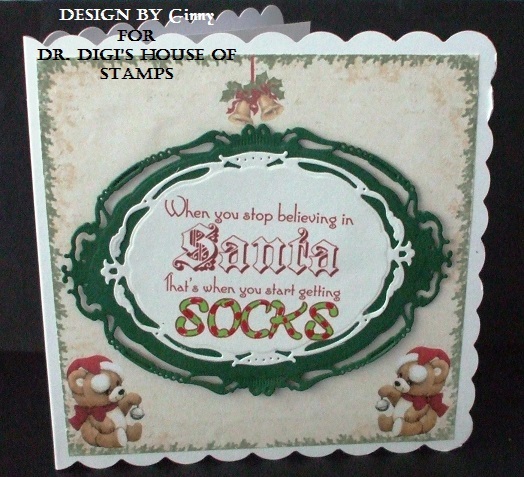 Hope you like it and I can't wait to use all the Dr Digi Christmas images for my cards this year. 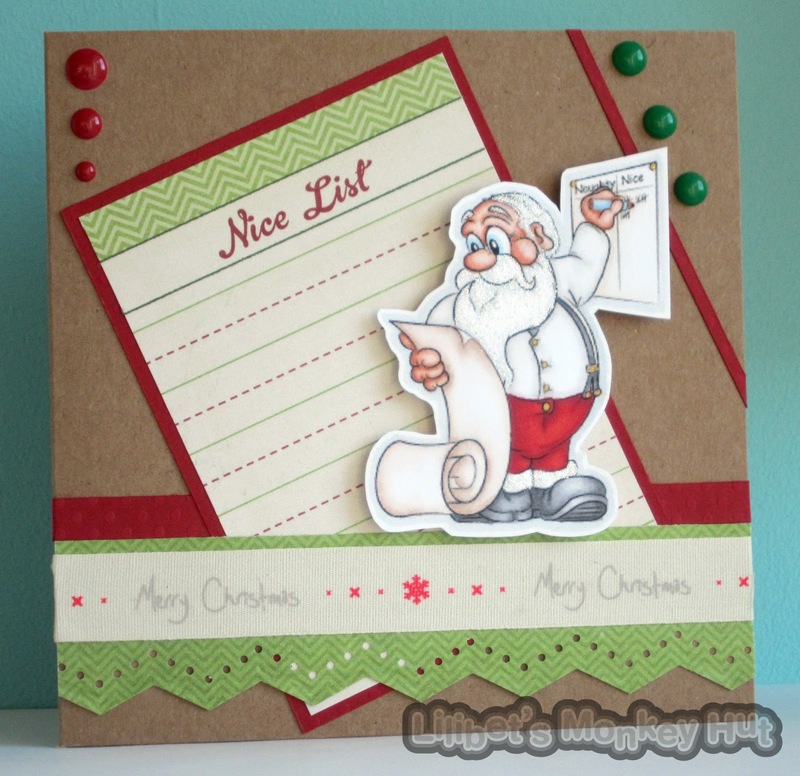 Labels: Christmas, Lilibet, Naughty or Nice? Meet Big Archie Butterthwaite, as you can see both Archie and his dog Butterball have not been shy when it comes to pies and pasties! However who's to say that this week the papers might not announce that pies and pasties are good for you after all, preventing the catastrophic inconvenience of an ingrowing toenail or the pain of a boil on the bum! Morning all - This is possibly my first post for Dr Digi where I've not used my Promarkers to colour an image. With this image I printed the digi called Mini Cooper straight onto patterned papers. There are loads of images at Dr Digi which talk for themselves and need little else to look fab!. 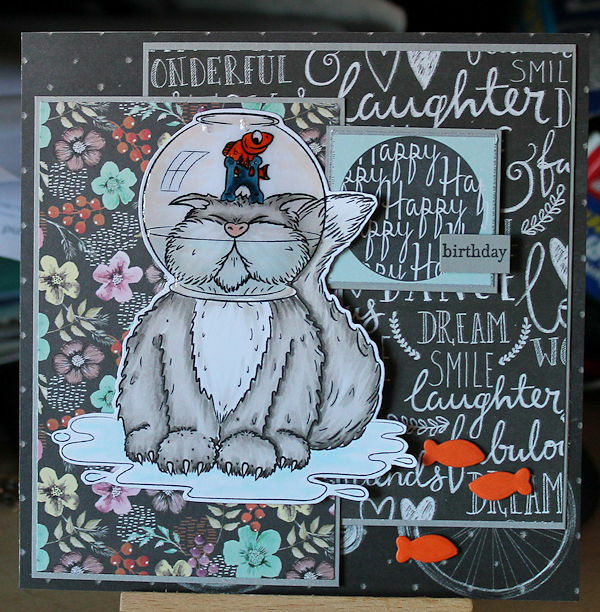 I've used Simple Stories "Snap" range to make this card - one page made the background & one page I used to cut out frame - and I did this by hand... no fancy cutters or dies. 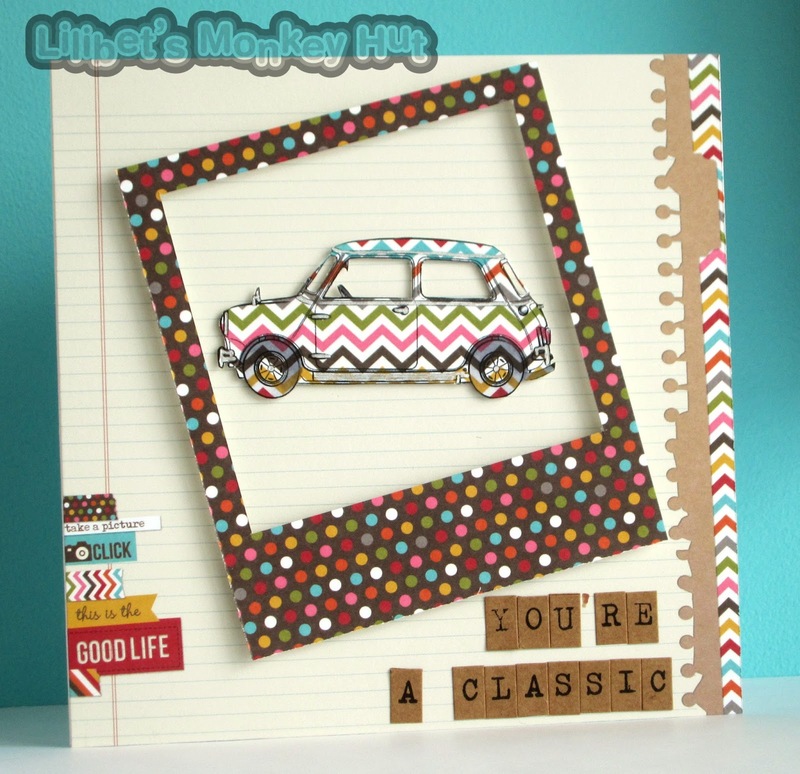 I cut out the windows from the mini and then just added a little silver pen on the metal details of the card and added a little shade on the wheels. A few 3d foam pads and letter stickers and we are done! 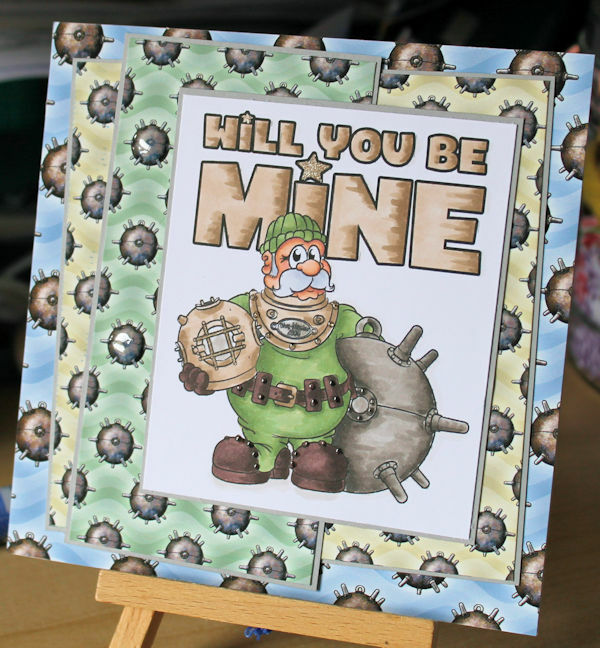 It just shows you don't have to have loads of expensive pens and equipment to make special cards for any occassion and this image is just £1.00! I have a busy & exciting week ahead with wedding dress shopping - so I will see you back here next Sunday! 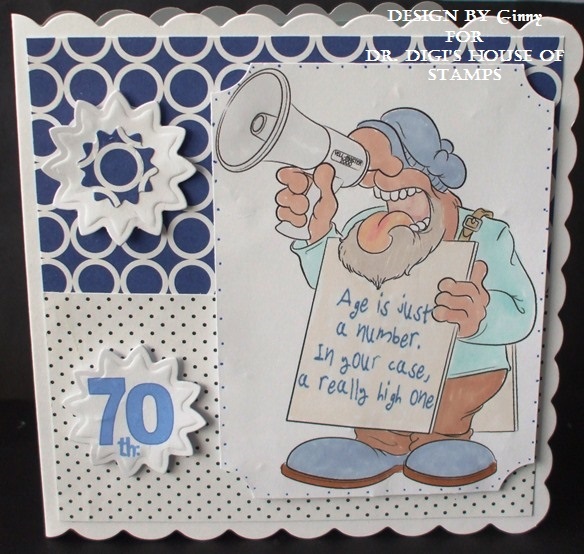 Another fun image from Dr Digi's House of Stamps, and this time it's Tin Man. Such a great disguise...no one will every recognize him. After all, who knows what mischief others will think of to celebrate such a milestone birthday. Who could resist Doug? Such a handsome devil, although he might not be the brightest light shining in the harbour given his proximity to a mine! You can find Be Mine Doug HERE, alternatively you can find his brighter twin Deep Sea Doug HERE without a mine. The amazing Mine Backing Papers can be found HERE, just make sure you use them the right way up (I learned that one the hard way!). The lightbulb digi is great for when you're in a hurry. 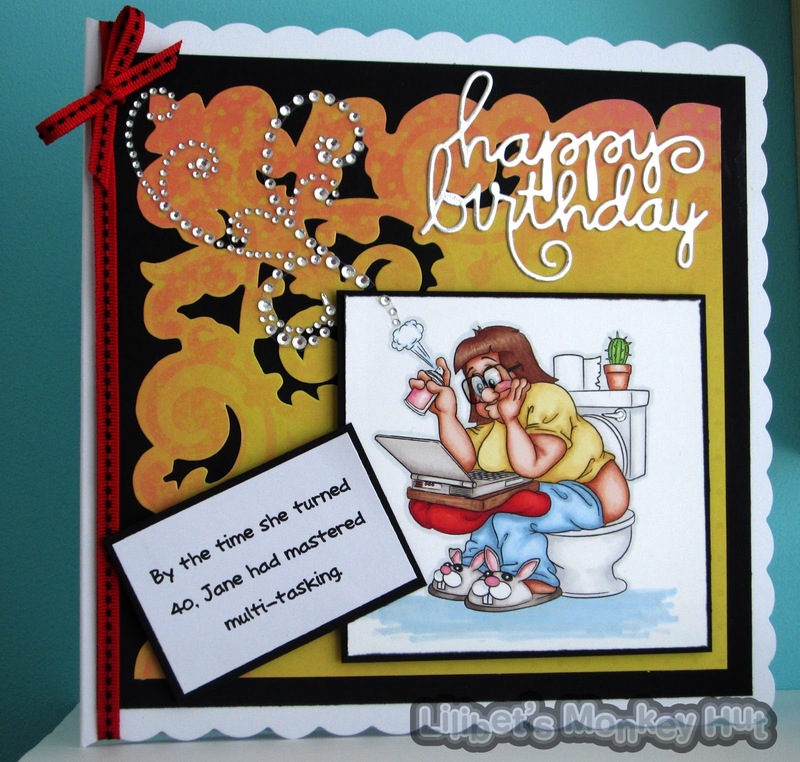 Or have a good idea for a quick card. Plus its currently a freebie in the store - so no excuse not to use a number of puns! I've shaded the image - the one in the store is just an outline. 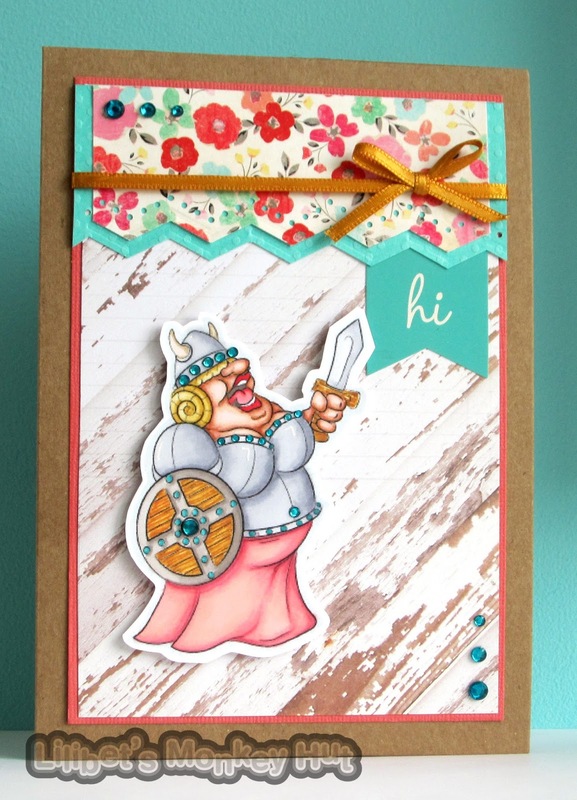 This lovely lady is Brunnhilde (Excuse me not adding the inflection... I don't know how to!!) I think she is fab with her ample Bussom and booming voice! At first I was going to colour her in with reds, gold and black and make her a very strong character but then I decided she just longed for her femininity to noted. How could I not with that bust!! So I went with the coral and turquoise and pretty flowers - balanced it with the strong wood effect background. I'm pleased with how she has turned out... she won't take any messing around our Brunnhilde but she also just wants to be woo'ed and loved! If you want to see the card recipes and Promarkers I've used - Pop over to my blog for full details. to trink tea because it is good for you. 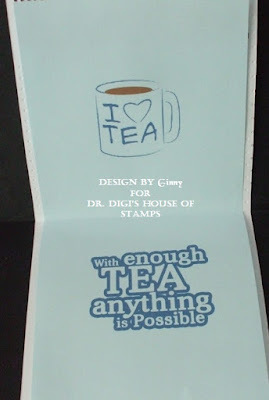 So I made a tea card this week. 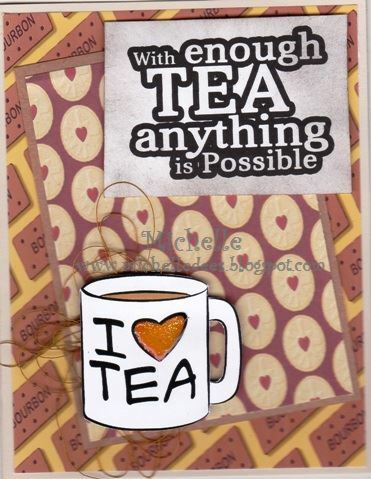 We have such a great set with tea images and papers and sentiments. 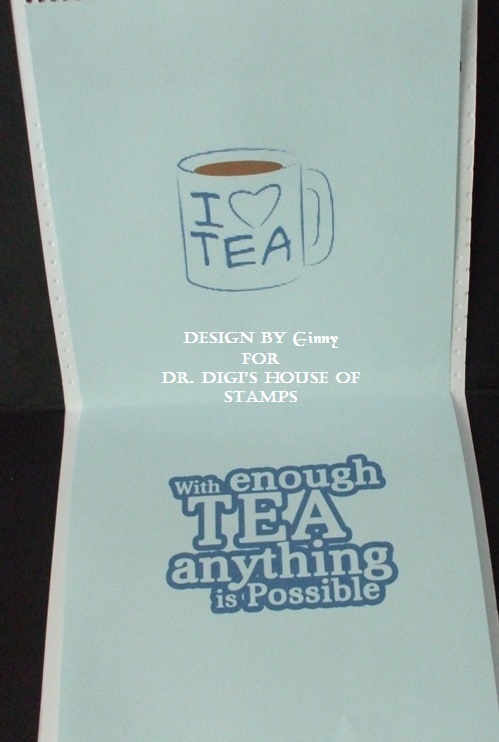 I used the image Cuppa, the Tea and Bickies backing papers and the sentiment sheet. Here can you read more about he card. I have a cup of tea by my side as I type this,! Sadly we have no biscuits; as chief shopper in this house I only have myself to blame. 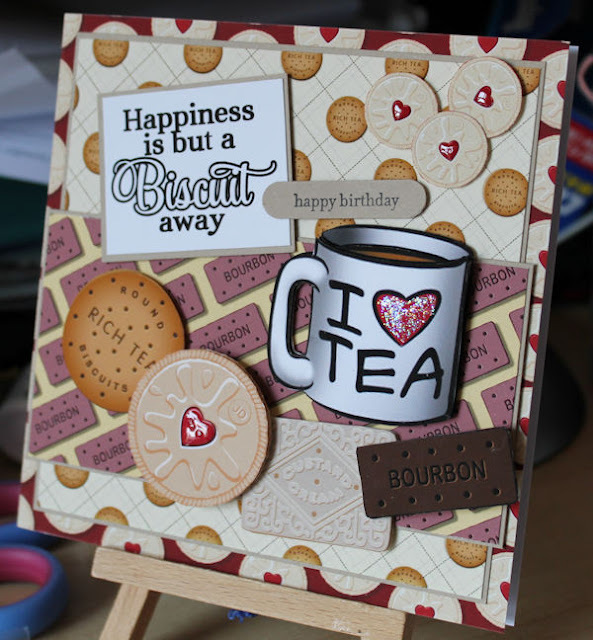 This card features one of my favourites, the good old Jammie Dodger, I don't eat Rich Tea as they don't have good dunking qualities, nothing worse than losing half a biscuit to the bottom of your mug of tea! 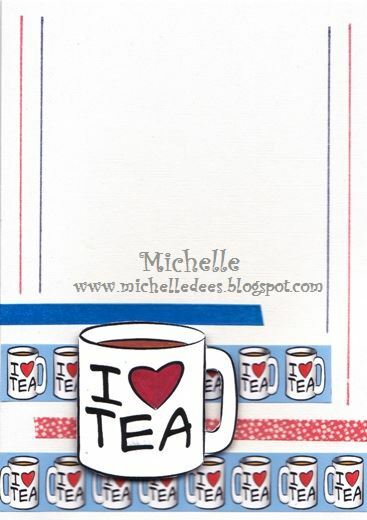 You can find all these images plus the sentiment on Tea Time Sentiment Sheet 01 and my new favourite set of papers, Tea and Bickies, can be found HERE. Hope you all have a good weekend, we have our annual summer fair at the Society for Abandoned Animals this Sunday, I am manning the barbecue so have fingers and toes crossed for no rain! There really is nothing worse than getting your tinsel in a tangle. Well, apart from the fairy lights having a loose connection. And not leaving a mince pie out for the big fella. Be prepared for the festive season with a side splitting selection of Christmas quips by going to the Dr Digi store and purchasing Christmas Sentiments Sheet 01 - and all 14 sentiments can be yours! Morning - Here is my latest creation with Dr Digi image called Airfresh Fiona. 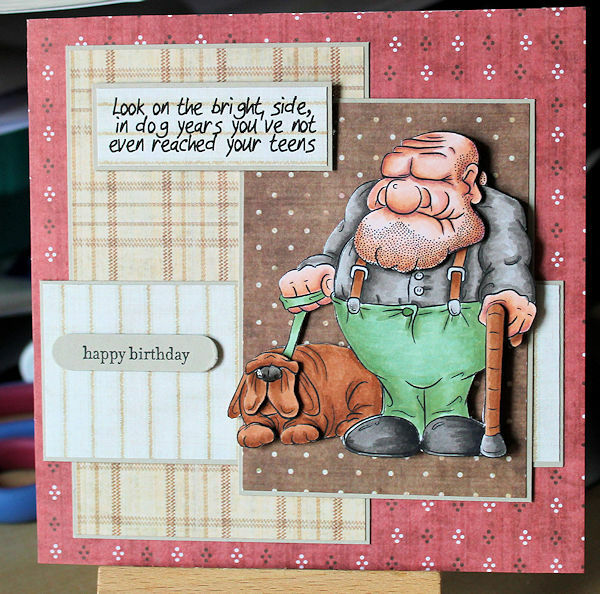 I'm actually away in Wales whilst you read this post as I made this card for my friends birthday who is turning 40. We are all down at their house having a party for the weekend. Hopefully she will find the card amusing... think I've known Jane for 35 years so I'm pretty sure I can get away it!! 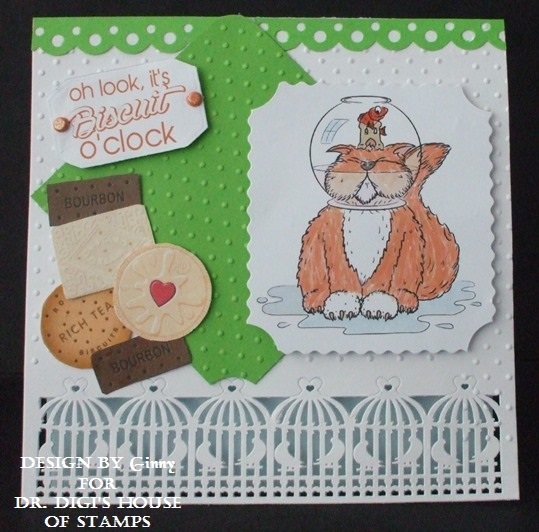 Here's my card for today, with Airfresh Fionna from Dr Digi's House of Stamps. Isn't she a hoot....brings to mind a new concept of 'working from home', but no selfies, please!! Well, who could blame Mycroft, after all it has been rather warm this week and I am sure he was only trying to cool down! My five cats (yes I know Crazy Cat Lady status achieved) have been chasing the shade round the garden and the youngest two can't even be bothered to object to each others existence anymore! If you want to add the delightful Mycroft to your collection then he is HERE. Hope you all have a lovely weekend and find some time to enjoy the weather wherever you are.